The concept of the Farm was conceived by Douglas Dear who has been an avid fly fisherman, bird hunter and outdoorsman most of his life. He and his wife Jennifer and their two boys purchased the land nearly ten years ago and transformed it into what it is today. 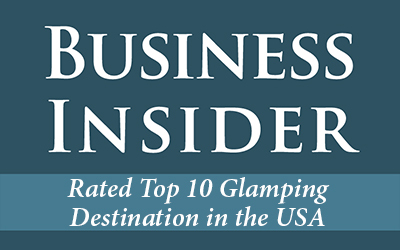 Douglas, a former real estate investment banking executive, who is now a private investor and outdoor writer, saw the need for a fly fishing getaway that was close to Washington, DC but offered an uncrowded fly fishing experience that was similar to the fishing he traveled to Colorado and Montana to enjoy. A fly fishing trip to Patagonia prompted the addition of rental cabins to the Farm. The first class luxury cabins, in the style of modern day Mongolian Yurts, were completed in 2011. From the beginning an important aspect of the Farm has been sharing it. The Farm is regularly donated for use by groups such as Project Healing Waters, Casting For Recovery, Trout Unlimited's Youth Conservation Camp, The Boys and Girls Club and the Boy Scouts of America. We also support charitable groups such as Costal Conservation Association, Trout Unlimited, Federation of Fly Fishers, Wild Turkey Foundation, Ducks Unlimited, Young Life and many others. 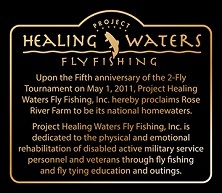 In 2011 The Farm was named the National Home Waters of Project Healing Waters to commemorate the 5th Annual 2-Fly Tournament held at the Farm. 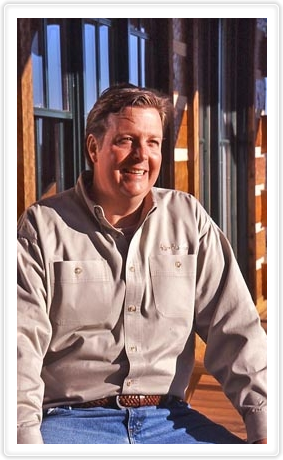 Also in 2011 Douglas was recognized as a national LL Bean Outdoor Hero for his work as Chairman of the Board of Project Healing Waters. Rose River Farm is a working Black Angus cattle operation with extensive peach orchards, hay fields and wildlife habitat. All of our farming operations are conducted in environmentally sensitive ways so as to keep the land pristine for generations to come. 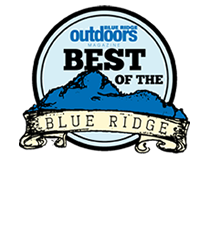 Our stretch of the river is some of the purest water in the State of Virginia. It is regularly tested for both water quality and aquatic insect populations. The natural fish food is abundant and the fish grow fast! 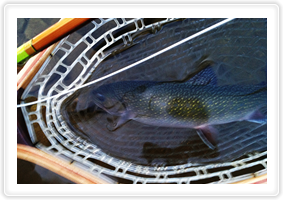 With strict catch and gentle release fishing our trout population stays strong year round. We have four types of trout on the Farm: Wild Rose Rainbows, Wild Brook Trout, Wild Brown Trout and Stocked Jumbo Rainbows. The jumbo Rainbows are the most prevalent species but the other trout species are always a treat. All of these fish are beautiful and provide excellent dry fly and nymph fishing. We like to fish 4 or 5 weight rods with dry flys dependent on the time of year. In the fall, hoppers, crickets and ants are all effective. As well as orange or yellow stimulators. Sizes 12-16 are typical. In the winter black stone flys and trico patterns in sizes 16-22 are strong producers. In the spring stimulators and caddis are good bets along with the same terrestrials we use in the fall (usually in small sizes). We also find that nymphs can be very effective all year long and often fish a dry dropper rig. Of course streamer patterns can catch some big fish too-- we like woolly buggers in black, olive, peach and white. We recommend 5X tippet and 7 to 9 foot leaders. 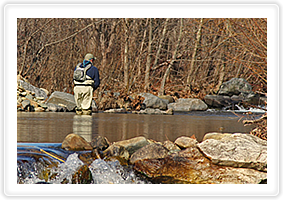 We believe we have put together the Piedmont's finest fishing experience. Come try it out. With very wadeable water the Farm is perfect for beginners, children (fly fishing only please) as well as the experienced angler. I have literally fished every major and many minor rivers in the West and can say without hesitation that the Rose River Farm has some of the best scenery combined with high quality trout fishing you will find anywhere. With our new luxury cabins you now have an opportunity to spend the night and have the perfect Virginia fly fishing vacation. Expert private and group lessons, as well as corporate events, are available at the Farm. Please contact us to set up lessons or private guide services. With our new cabins we have accommodations for 8 anglers and can arrange for all the details from catering to meeting space in our large barn. 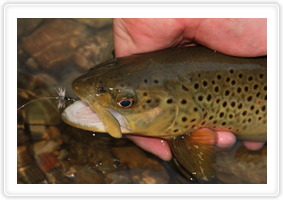 We will provide you with any level of instruction or guiding needed and we can even arrange to have a fly fishing celebrity fish with your group or give a fly tying demonstration or lecture. We will make your next customer / sales / team building event one to remember. And if you are looking for a unique wedding venue our yurts, outdoor spaces, festival tents and even our 1930's barn (seats 150) are all available for a wedding to remember.